Beautiful Colonial on 5.8 private acres with a large in-law apartment, along with a 4 stall barn, chicken coop, hay storage, riding ring and mountain views. The main house has 4 bedrooms, and 3 baths, with an indoor lap pool, fully finished basement, screened in porch, and attached 3 car garage. The home has many things on your wish list including a custom kitchen with granite counters, wall oven and microwaves, central vac, air conditioning, first floor laundry, mud room, not to mention a lovely Master Bedroom Suite with bath and 2 walk-in closets. In the finished basement is a large family room, exercise room and storage. The in-law apartment consists of 6 rooms and a small balcony with its own separate entrance. The home is also equipped with solar panels, and a security system. Within walking distance to New Hampton Village and the New Hampton Prep School. 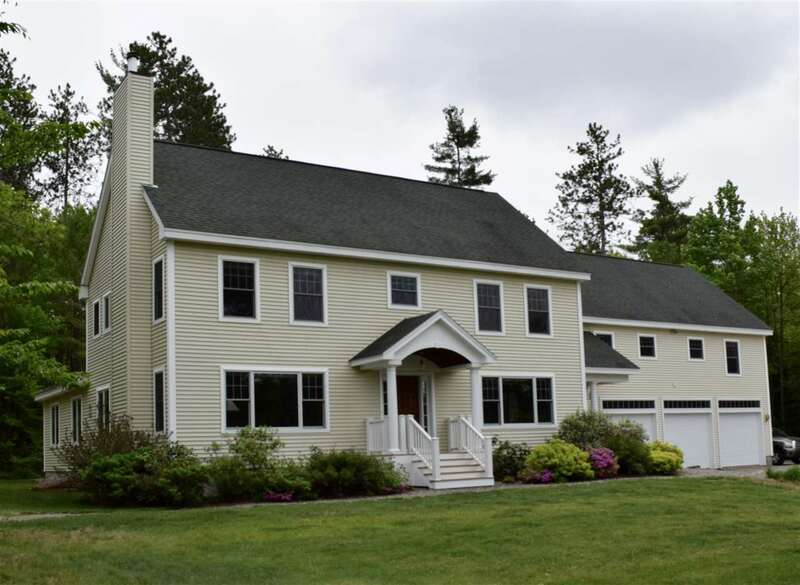 Close to I-93 for easy access to points north and south. Located between Lake Winnipesaukee and Newfound Lake, and close to many smaller lakes. Additional land available adjacent, see MLS #4706996. Showings start 8/18/18.